Planet Hollywood is considered the place to play for celebrities and A-listers alike. The resort is the first in Caesars Entertainment’s Las Vegas portfolio to have all guest rooms completely renovated as part of a 23,000 Las Vegas hotel room renovation program that will be more than 50% complete by the end of 2017. Designed by Bergman, Walls & Associates (BWA), the vibrant new guest rooms and suites feature a sleek, white color palette and unexpected décor including suspended sofas and round beds. Bold artwork throughout the rooms and corridors were inspired by the modern rock star guest, showcasing hip and edgy imagery capturing the essence of Las Vegas nightlife. 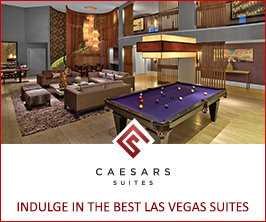 Some guest rooms and suites offer striking views of the Las Vegas Strip, a result of the resort’s prime position on the world-famous Las Vegas Boulevard. In honor of the resort’s tenth birthday, Gordon Ramsay Burger is serving a special “10 Year Anniversary Burger”. The celebratory burger is made with a dry-aged beef patty and topped with BBQ-braised short rib, pickled shallots, frisée and lemon vinaigrette. Similarly, guests can indulge in a signature birthday cocktail, the “Ketel One® Gold Coast”. This celebratory libation incorporates Ketel One® Vodka, apple cider, Perricone® lemon juice and allspice spiked agave syrup served with a metallic gold sugar rim and garnished with a dehydrated apple slice and will be offered at Extra Lounge and Heart Bar. Similarly, Earl of Sandwich is offering a limited edition “Spicy Chicken Fajita” sandwich for $5.99 in addition to an “Anniversary Bundle Special” - any sandwich or wrap with draft beer or fountain drink plus a bag of chips for $10. During its milestone year, the resort will also welcome the 66th MISS UNIVERSE®, which will take place in Las Vegas from The AXIS on Sunday, Nov. 26 and air live on FOX. MISS UNIVERSE® returns to Planet Hollywood after being held there in 2015. Contestants from nearly 100 counties will vie to become the next Miss Universe in this year’s competition. The event will conclude with reigning Miss Universe Iris Mittenaere of France crowning her successor. These developments are the latest for the resort with a history of trailblazing innovation in Las Vegas. The resort opened in 2007 with a weekend extravaganza that featured unforgettable performances by Barbara Streisand, Earth Wind and Fire, Sugar Ray, Bruce Willis and John Stewart. Over the years the resort has hosted movie premiers including “21” and “What Happens in Vegas”. Planet Hollywood was also the first resort to introduce the pop residency on the Las Vegas Strip with the likes of Britney Spears, Jennifer Lopez, Pitbull and the Backstreet Boys. The Axis is the city’s premiere option for superstar entertainment. Celebrating 10 years, Planet Hollywood Resort & Casino is the centerpiece of the famed Las Vegas Strip, with 2,500 beautifully redesigned guest rooms and suites showcasing some of the best views in town, along with endless options of unparalleled shopping, distinguished dining, popular entertainment and a bustling nightlife. A bright, bold addition to the resort’s portfolio, the new Ultra Hip Rooms feature contemporary elegance and luxury bedding. Known as the place to play for its roster of A-list celebrity guests, Planet Hollywood’s 231 newly restyled suites feature stunning views of the glittering skyline and daring décor elements such as suspended sofas, lounge-style living spaces and oversized modern artwork. The resort encompasses more than 100,000 square-feet of gaming, several lounges, ten restaurants including Gordon Ramsay Burger, KOI, Strip House, the award-winning Spice Market Buffet and LA’s Pink’s Hot Dogs, an intimate wedding chapel and the Planet Hollywood Spa by Mandara. Home to the first pop music residency in Las Vegas, The AXIS showcases resident headliners Britney Spears, Jennifer Lopez, Lionel Richie, Pitbull and Backstreet Boys. 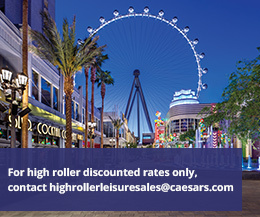 The property is encircled by Miracle Mile Shops with more than 170 specialty stores and restaurants. For more information, please visit planethollywoodresort.com. Find Planet Hollywood Resort & Casino on Facebook and follow on Twitter and Instagram.